Are you guys ready for Autumn? I love Summer but I'm ready to say goodbye to floaty dresses and pastel hues and bring on the layers and jackets! 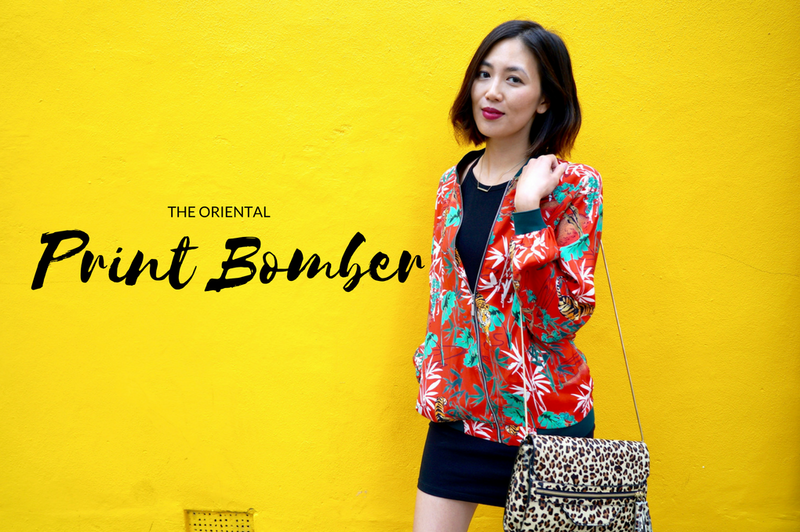 One style I can't wait to rock again are bomber jackets, they just make you feel instantly hip and that little bit cooler, that's what I tell myself anyway :) When I saw the print bomber jackets from Debenhams, I was immediately drawn to the Red Tiger print bomber jacket* from the H! House of Holland collection for Debenhams (currently on sale!) I was picturing all these outfits in my head, so I wanted to share with you guys how I would style them for day and night - hope you enjoy this outfit post! 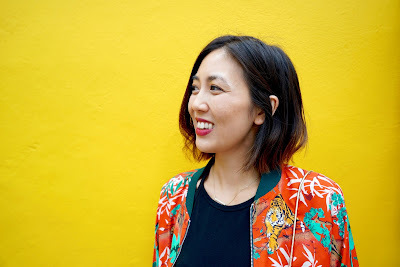 I love my basics and neutral hues but this print is too fun to pass up and great to eject some colour and something different into your wardrobe. So for a night out, you can sling it over your favourite little black dress, add some badass chunky heels*, bold lip and a leopard print clutch* for more print on print action! 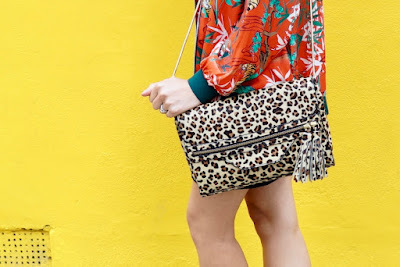 I haven't wore leopard print since the early 00's but it's making a comeback! This oversized clutch is from the Nine by Savannah Miller collection at Debenhams, it has a black leather back and the front features some fun tassels, zip detail and popper enclosure. It's also really smooth to touch and there's plenty of room inside, I can fit my cardigan in there! The gold chain is sturdy giving it a luxe feel and the perfect length to wear over the shoulder or cross body. For a day time look, I kept things simple with a grey top, skinny blue jeans and all white Converse trainers. When it gets colder, you can pair with shorts, tights and boots, it will dress up a 'plain' outfit in no time! I don't feel over dressed wearing the bomber as the style is casual but the print makes it unique, definitely a fun addition to your wardrobe! Hope you enjoy this post and thanks to Hang for being my photographer :) What do you think of the jacket? Do you like the look of print bombers? 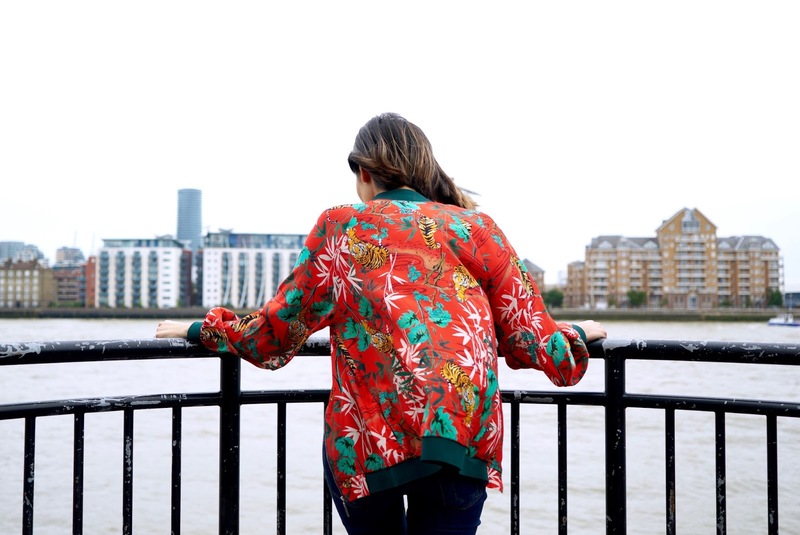 Thanks to Debenhams for this great collab, there are lots of cool bombers available from Debenhams including floral print, which I also like, so be sure to have a browse! 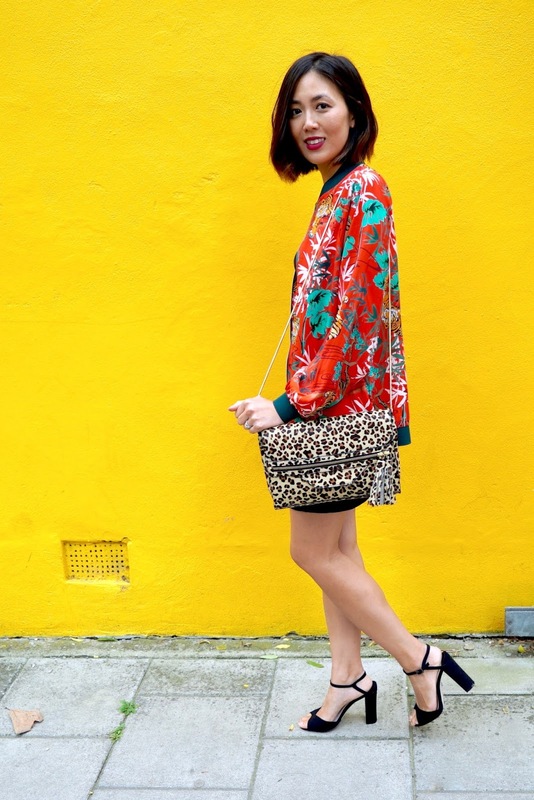 What do you think of the print bomber trend?